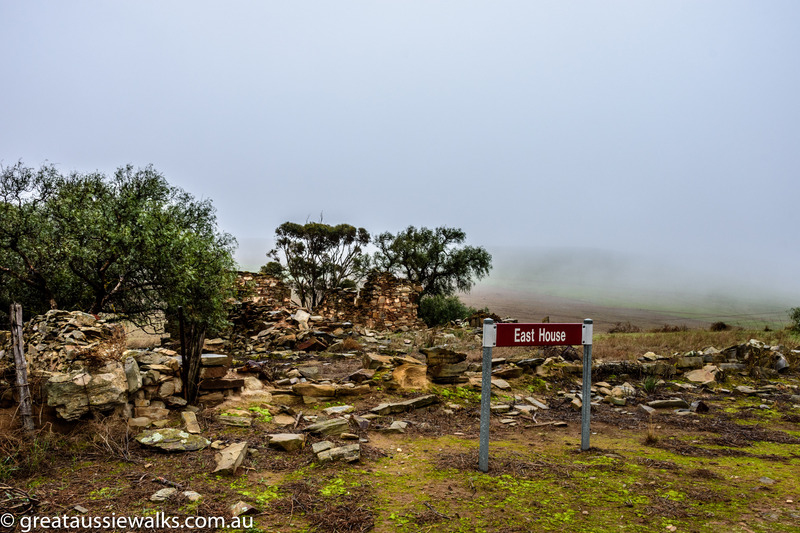 On the outskirts of Burra, the stone ruins and foundations are the only remains of the former township of Hampton Village, once a bustling settlement during the peak mining period in Burra from the1860s. Following the discovery of copper in Burra, the South Australian Mining Association laid out the town of Kooringa in 1846. 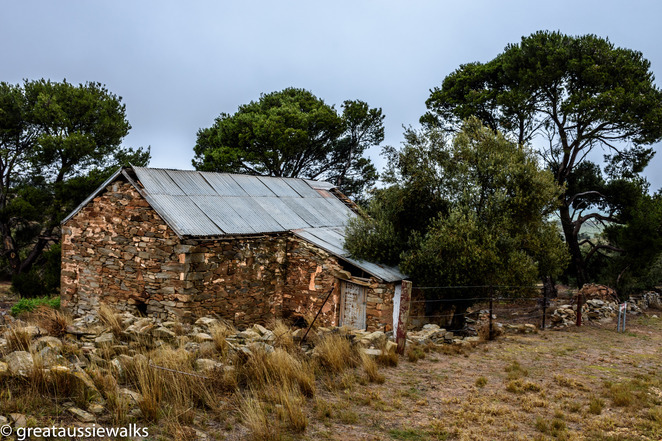 With the monopoly on housing, the Mining Company charged the miners exorbitant rent for the homes in Kooringa, making it difficult for miners to afford a home. To provide alternative housing for the miners and their families, the townships of Redruth, Aberdeen, Llwchwr and Hampton were a privately surveyed. Thomas Powell, the postmaster from Kooringa, lodged the township plans for Hampton with the General Registry Office in 1857. The sale of allotments began in 1858 and by 1866, over 30 dwellings and a Chapel sat beside the stone quarry of Hampton Village. Named after Hampton in Middlesex, England, where Powell's wife, Rebecca (nee Wixen), was born in 1810, the houses in Hampton village were predominantly simple two or three roomed cottages built from stone from the local quarry. Inhabited mainly by copper miners and a few farmers, the village was originally intended to house 3 chapels. 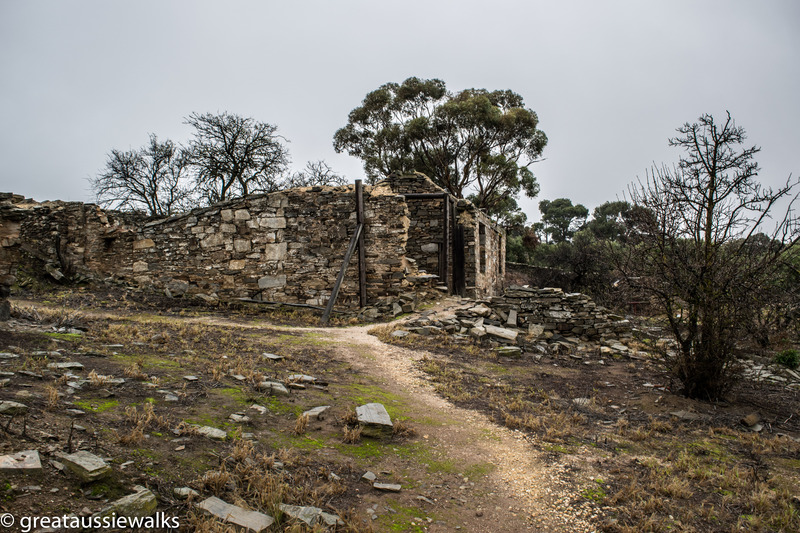 The ruins of the Bible Christian Chapel remain at the village, the sites allotted to the Church of England and the German Chapels remained vacant. The prosperity of the town mirrored the decline in the copper mining industry, with the number of occupied residences dropping to 22 by 1873. Following the closure of the Burra mine in 1877, miners began to leave the village. The surrounding land was purchased for grazing and farming and by the 1890s the busy mining town became a run-down settlement occupied by labourers, tradesmen and widows. The last residents left the village in the 1960s. 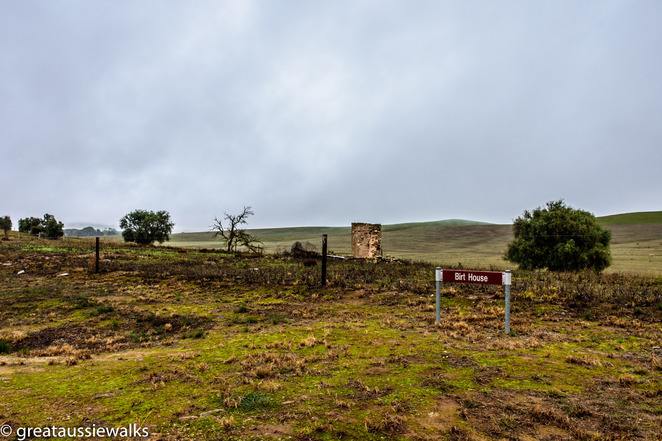 The original layout of the former village is evident as you walk through the area that is now a tourist attraction. 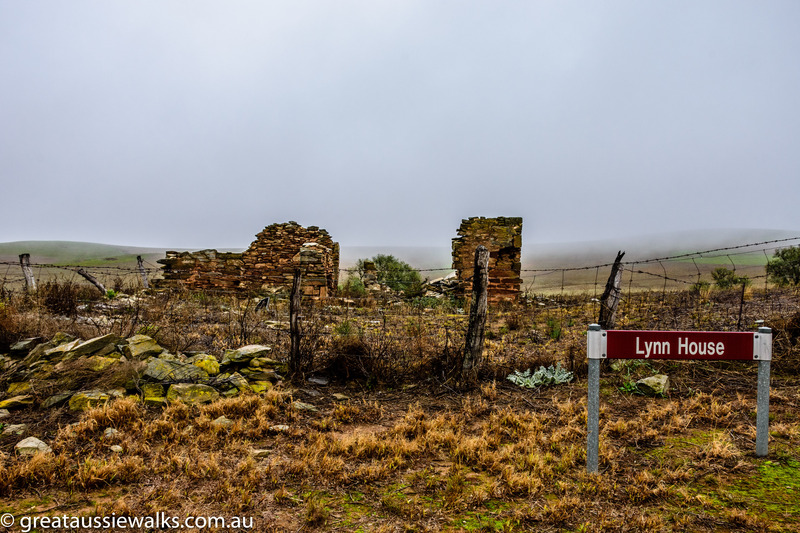 In the early morning, the mist over the hills and the silence surrounding the ruins is in contrast to the busy village in which the community of Hampton lived in the late 1800s. Fences and walls of the stone residences and buildings provide a glimpse of the lives of the residents who lived in the small mining town. 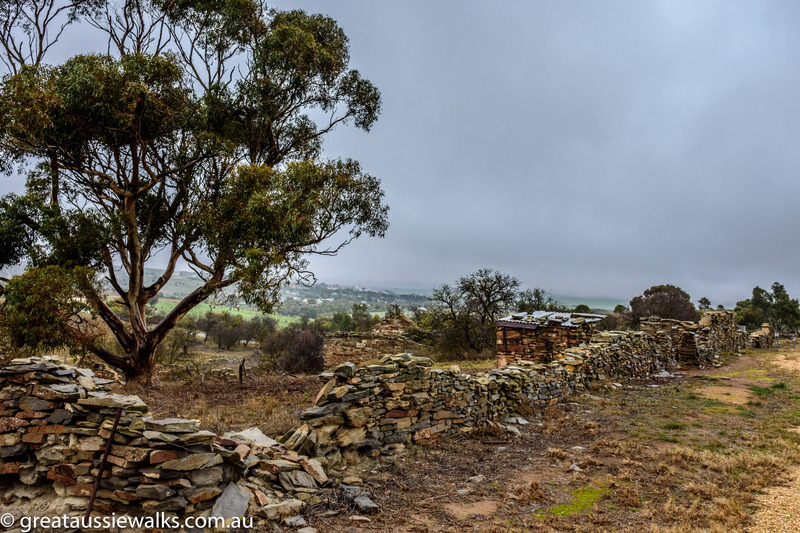 Fruit trees, almond, olive and pepper trees introduced into the area sit among the native gum trees. 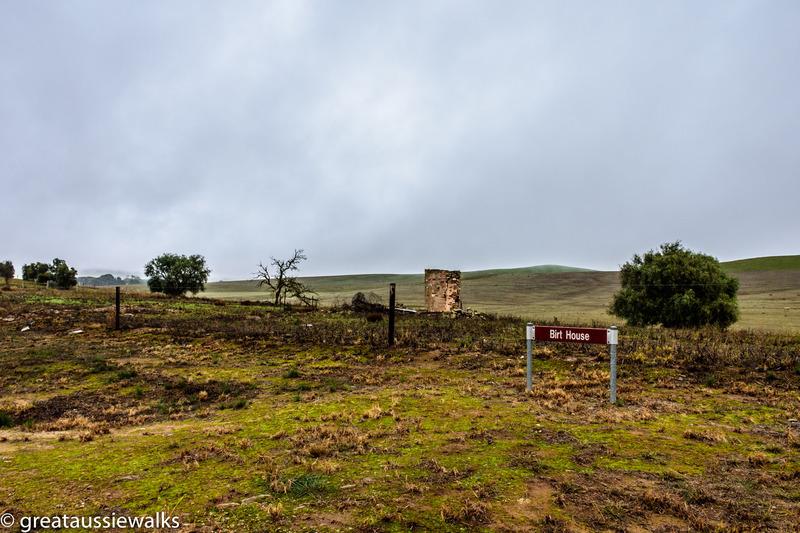 The walking trail is an easy walk and clearly marked,with information signs at the entrance and signs near the ruins identifying some of the previous residents. The walk from the entrance along Gracious Street introduces the homes of the former residences of the Watkins, Cullen and Mulller families. James Cullen, a miller by trade, settled in Hampton Village with his wife Adelaide. Together they had twelve children in their home, although at least five did not live past two years of age. Their daughter Adelaide married Fred Dew, son of another family residing in Hampton. The Bertram family home occupies a large site in the former village. Carl Bertram and his wife Henrietta raised a family in the area, it is believed they arrived from Germany. 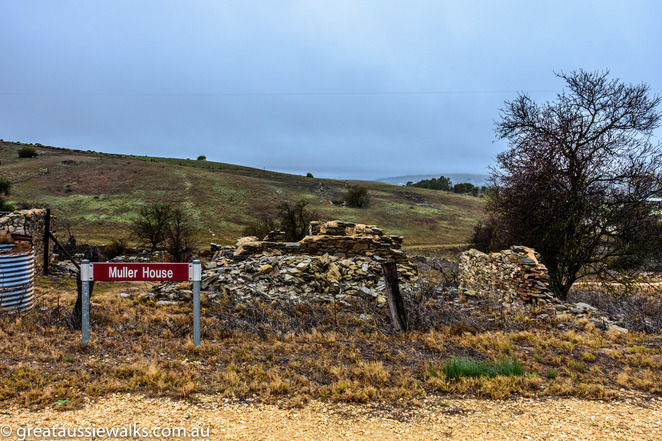 The Birt House is the former residence of William Birt and family, who arrived in Australia in 1847, before moving to Burra in 1849 where he became the foreman carpenter at the Burra mine. Leaving the area to try his luck in the Victorian goldfields, he returned to his old job when he was unsuccessful in his search for gold. Later he became a builder, after working at the Bon Accord Mine. The Muller House on Gracious Street between the Cullens and the Bertrams. Hampton Village is a great weekend escape from the city, located on Hampton Court just outside Burra. Visiting early in the morning adds to the mystery and adventure of the visit as the ruins sit in the misty surroundings. 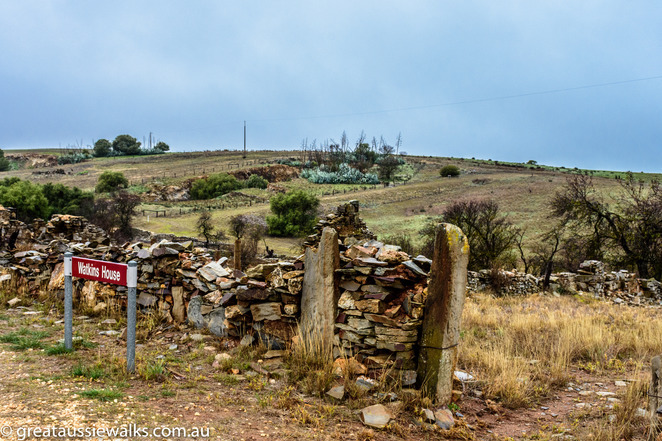 Entry to the village requires the purchase of a Burra Heritage Passport. The passport allows visitor access to nine locked sites, including the Monster Mine area, Redruth Gaol, the underground Unicorn Brewery cellars, Hampton Village and the Dugouts. Free entry to the museums(during opening hours) and a guide book are included in the price of the passport. Passports arevailable seven days a week from the Burra and Goyder Visitor Centre. Children are free and will receive a free Children's Treasure Hunt Sheet with every passport sold. 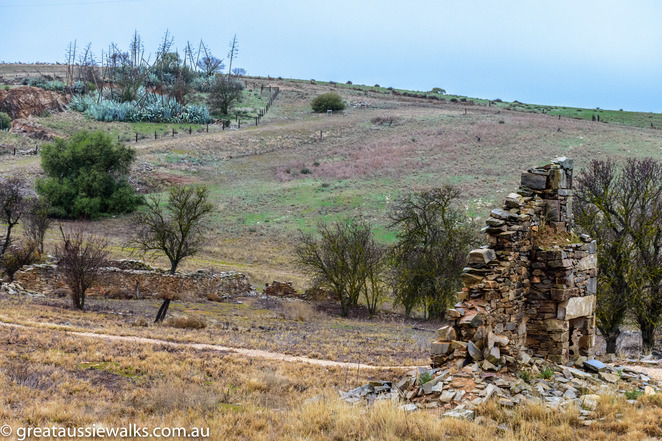 Burra is one of my favourite towns in S.A.This information is new to me..thanks for that.I wonder if the houses collapsed of their own accord or did people wreck them to collect the stones for their own homes.Let's hope these ruins can be preserved. A visit to Hampton on my next trip to burra. I also hadn,'t heard of the settlement. 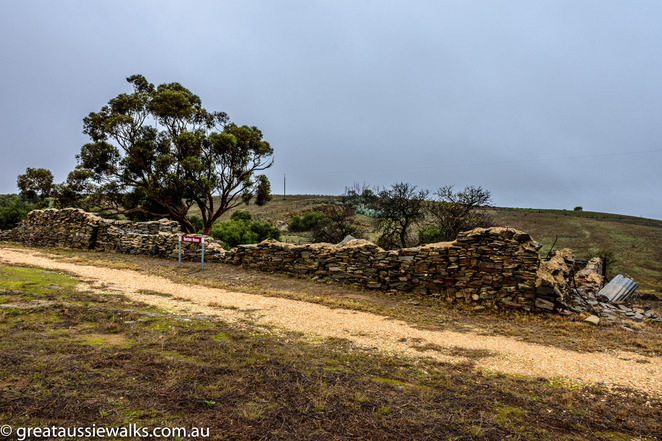 During my research of my family links to burra. Is there a list of all the families who lived there. ?